While efforts to counter Islamophobia have proliferated since 9/11, by most metrics, Islamophobia is getting worse. Anti-Muslim hate crimes in the past two years are among the highest ever. Over a dozen states have passed anti-sharia legislation. President Trump won the presidency by promising a Muslim ban (and delivering on that promise) and by flirting with other anti-Muslim proposals, including Muslim registration systems and Muslim ID cards. The surveillance and profiling of Muslims continues unabated. In other words, despite efforts to combat Islamophobia, the situation seems worse than ever. Why? I believe we are struggling to mount an effective resistance campaign to Islamophobia because many well-intentioned individuals and organizations have misunderstood what Islamophobia is, who bears greater responsibility for countering it, and how it spreads. Here are some reflections on these misunderstandings and how correcting them can lead to focusing our efforts in a more productive manner. The most common misunderstanding is that Islamophobia is driven by ignorance. The idea is that the non-Muslim majority doesn’t know enough about Islam. If they knew the “truth” about Islam – the Qur’an, the five pillars, what jihad really means – then Islamophobia could be eradicated, or at least reduced significantly. Such an assumption has produced countless efforts to offer “Islam 101” presentations in schools, houses of worship, and community centers across the country. Don’t get me wrong. Educating the broader public on Islam has plenty of merit. But the impact of this will be limited when it comes to countering Islamophobia. That’s because Islamophobia is best understood not as ignorance but as racism. “But Islam and Muslims are not a race” is the normal response I get when I say this in public. That’s true. They are not. But Islam is racialized, as are Muslims. Muslims are treated as a race, as a monolithic entity collectively presumed guilty of harboring terrorist impulses. They are viewed and dealt with as a suspect population. Their religion is framed as a belief system inherently oppressive and violent, and this opens the door for government-led surveillance, profiling, and other forms of systemic discrimination against anyone connected to Islam. Individuals who “look” Muslim are also subject to harassment, discrimination, and violence. The first post-9/11 retaliatory murder, for example, was of Balbir Singh Sodhi. He was killed by a man who thought Sodhi was a Muslim. Individuals with an Arab or South Asian background, irrespective of their actual religion, are often subject to bigotry because of their presumed connection to Islam. Since Islamophobia is racism, efforts to combat it are best spent on developing responses modeled on other successful anti-racism movements in modern American history. Non-violent protests, economic boycotts, and other forms of high-impact grassroots activism are where our effort should be focused. An unspoken assumption among many whites and white Christians is that Muslims themselves have a special responsibility to combat Islamophobia. This assumption depends in part on the misunderstanding noted in the first point, that Islamophobia is driven by ignorance and therefore Muslims must take the lead in explaining themselves and their religion to the rest of us to correct our misunderstandings. But as a form of racism, Islamophobia in the United States emanates not from Muslims but primarily from white and white Christian populations. “We” are the source of Islamophobia. “We” are the ones who produce or perpetuate Islamophobia. “We” are the ones who benefit from political projects – including wars in the Middle East and counterterrorism programs at home – that frame Muslims and those perceived as Muslim as existential threats to U.S. political and military hegemony. The burden of countering Islamophobia, therefore, falls on “us.” This is not a commentary on whether Muslims should or should not be involved in these efforts or on what role Muslims should have in shaping anti-Islamophobia campaigns. It’s a commentary on who bears moral responsibility for addressing anti-Muslim racism. Muslims don’t have the luxury to choose if or when to resist Islamophobia. Islamophobia is a lived experience, one from which Muslims can’t take a day off. When Muslims fight Islamophobia, they are fighting for their survival. They don’t fight Islamophobia because they have a greater moral responsibility to do so. It falls on whites and white Christians to step up and accept the primary moral responsibility for countering Islamophobia. As Najeeba Syeed, a Muslim interfaith activist and a professor at Claremont School of Theology, recently argued, her life and the lives of Muslims depend on Christians talking to one another and holding one another accountable when it comes to Islamophobia. A third misunderstanding is that Islamophobia is an unfortunate but understandable outgrowth of 9/11 and other terrorist attacks. Translation – Islamophobia is a natural response to Muslims behaving violently toward innocent people. That’s why it’s so widespread. Once the war on terror is won, once bad Muslims stop terrorizing America, Islamophobia will recede and the good Muslims will no longer suffer from prejudice. Such beliefs are misguided for a variety reasons. They fail to grasp how U.S. imperialism and interventionism have fueled the conditions that breed terrorism within and beyond our borders. They also depend on a racist, guilt-by-association mindset that holds all Muslims responsible for the actions of a few. That way of thinking is rarely applied to people who look like me or who share my racial or religious background. But my larger point is that such beliefs do not take into account the fact that Islamophobia is manufactured. A cadre of far right activists, bloggers, and pundits – often referred to as the Islamophobia industry – devote their waking hours to invoking racist stereotypes in a concerted effort to create and spread fear and hatred of Muslims and Islam. We must focus much more energy on educating the public about the Islamophobia industry. In my experience, most non-Muslim Americans have little familiarity with the key players of this industry, people like Pamela Geller and Robert Spencer who regularly call for restrictions on religious freedom for Muslims and whose hate speech has become so dangerous that they have been banned from entering the United Kingdom. They do not know that tens of millions of dollars pour through the coffers of dozens of anti-Muslim hate groups, often from donors with hardline Zionist, anti-Palestinian agendas. They don’t know how the tactics used by this industry have generated anti-Islam legislation in over a dozen states and have shaped policy debates and decisions on issues ranging from immigration to counterterrorism. They don’t know that this lucrative industry has strong connections to current administration officials, including John Bolton (National Security Adviser) and Mike Pompeo (Secretary of State). What all of this means is that when it comes to combating Islamophobia, we will be better off giving public presentations on the Islamophobia industry than on Islam itself. The more the public knows about who benefits from Islamophobia and how Islamophobia is manufactured and manipulated for financial and political gain, the more progress we will make in our efforts to dismantle Islamophobia. For those interested in getting up to speed on this industry, books by Nathan Lean and Christopher Bail are a good place to start, as are online publications by scholars such as Hatem Bazian, reports by organizations such as the Center for American Progress and The Carter Center, and documentaries such as Islamophobia Inc. by Al Jazeera Investigations. Islamophobia poses one of the greatest moral dilemmas to our nation in this particular political and historical moment. The sooner we come to a better understanding of Islamophobia – what it is, who bears primary responsibility for countering it, and how it is manufactured and spread – the sooner we can develop more effective strategies in countering Islamophobia and paving the way for the full flourishing of Muslims. 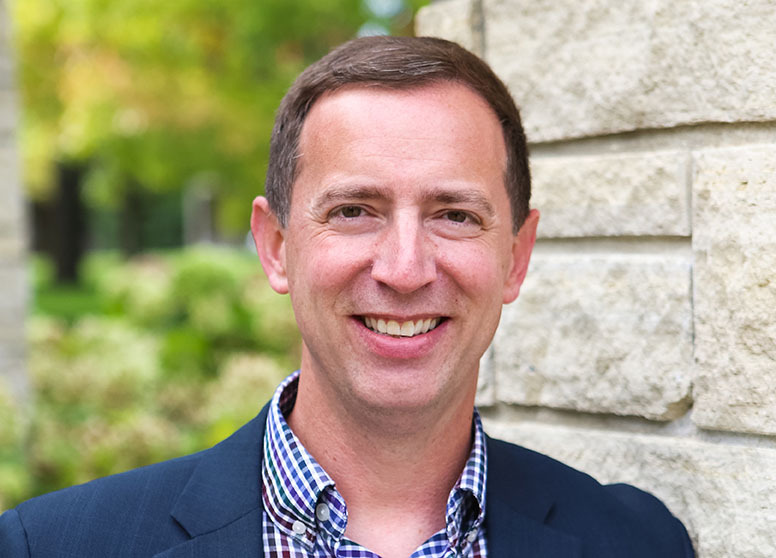 Todd Green is associate professor of religion at Luther College and a former advisor on Islamophobia at the US State Department in Washington, DC. His views on Islamophobia have appeared in a variety of media outlets, including CNN, NPR, Al Jazeera, Reuters, and The Intercept. He is the author of Presumed Guilty: Why We Shouldn’t Ask Muslims to Condemn Terrorism (Fortress Press, 2018) and The Fear of Islam: An Introduction to Islamophobia in the West (Fortress Press, 2015).